It's done, it's happening, this is my first official Christmas (sans gift guides) post on the blog, and what better way to start than a bucket list, explaining all of my intentions for the festive period. Bare in mind, for me Christmas isn't a day, it's a way of life and it's the way of life from around now till January. I've already long since started my shopping and I can't wait for everyone else to catch up with the Christmas spirit. 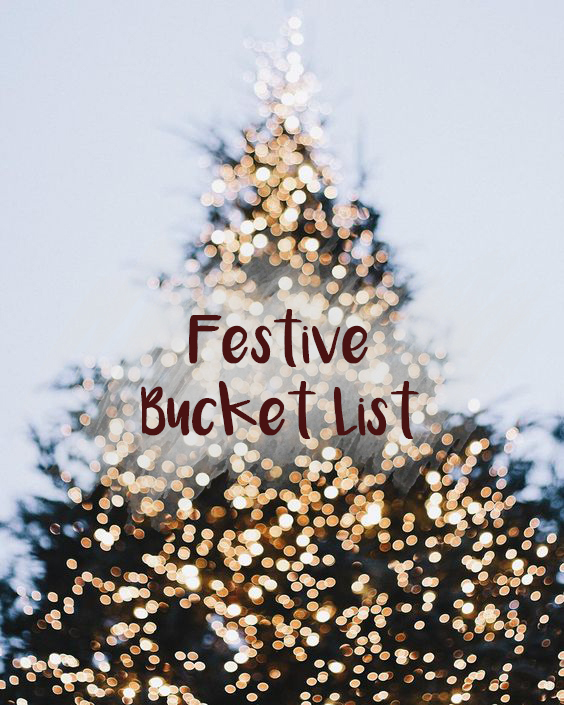 SO, seeing as I really enjoyed doing my Autumn bucket list as well as reading some others me and two of my favourite blogging ladies Amy & Claire all decided to create our festive editions (make sure you check theirs out) and these are the things I would really like to get done this festive period. It's not much but I didn't want to set ourselves loads to do as this period is so busy for us. We have Noahs Birthday, Christmas and then Johns, so there is always lots to do. As before, I'll mark them off as I go and I'm certain if you follow me on social media you'll see some snaps when I complete them. Have you got anything you really want to get done this Winter? Ah I cannot wait to see your cheesy photos, you're going to have an amazing Christmas with all these fun things planned!